It’s certainly inspiring to see the projects that everyone’s favourite Global Rum Ambassador, Ian Burrell gets up to these days and The Virgin Holiday Spirit sure is one of them. I’m put off by some of the word usage in the press release, but I’m going to have to keep my eyes open for a V-Room so I can have a taste of the latest spiced rum to hit the market. Bi-Monthly Cocktail Subscription Pack: The Perfect Gift? There’s no denying that tiki really is gaining popularity – I won’t use the word trendy – because that infers it won’t be trendy at some later point. 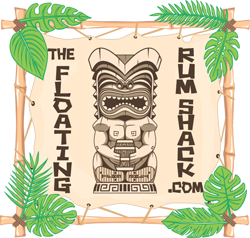 If tiki is done properly, then it will last and that’s where the Tiki Cocktail Box people are looking to provide a service. For those in the drinks trade, I think it’s widely accepted that the biggest cocktail and spirits focused event in the world is Tales of the Cocktail in New Orleans, USA. It’s a seriously large event that’s now set to celebrate its 15th incarnation this year on the July 18th-23rd. For those also in the know, Tales on Tour started seven years ago – taking the seminar format out on the road; giving people a taste of the main event and creating a buzz wherever they could. The good news for us Brits is that Tales on Tour is rocking up in Edinburgh this April (and next year as well) and its set to be the epicentre of awesome as so many super cool drinks industry folks head towards one of the best cocktail cities in the UK. If you’re looking for a Rum Festival near you, or are looking to combine some rum-traveling with seeing a new part of the world, then you could do worse than check out our compilation of 2017 dates. Hope to see you along the way! We’ve included some other spirits and cocktail festivals where appropriate and looked to indicate which are drinks trade only focused. For a rum with such a limited amount of bottles up for sale initially, the PR team have made quite a splash in sharing the story far and wide. Kinda wish I’d run this last Wednesday, as I now look a bit ‘me too’, but whilst I’ve not yet tried SeaWolf yet, the reason I’m interested in it, is far than just the liquid in the bottle.